Photo courtesy GCAC Boomer’s friends at Greene County Animal Care & Control describe him as a fun-loving oversized puppy and the perfect partner for a fitness lover. Boomer is a white brindle American Bulldog. This 2-3 year old boy has been neutered and vet-checked. XENIA — Greene County Animal Care & Control is open 9 a.m. to 6:30 p.m. Monday-Friday and 12-4 p.m. Saturday-Sunday at 641 Dayton-Xenia Road, Xenia. Potential adopters should visit at least one hour before closing to meet animals and complete adoption paperwork. Adoption fee for dogs is $135 which includes spay/neuter, microchip, first shots and worming, vet exam and dog license. Adoption fee for cats is $90 which includes spay/neuter, microchip, first shots and worming and vet exam. 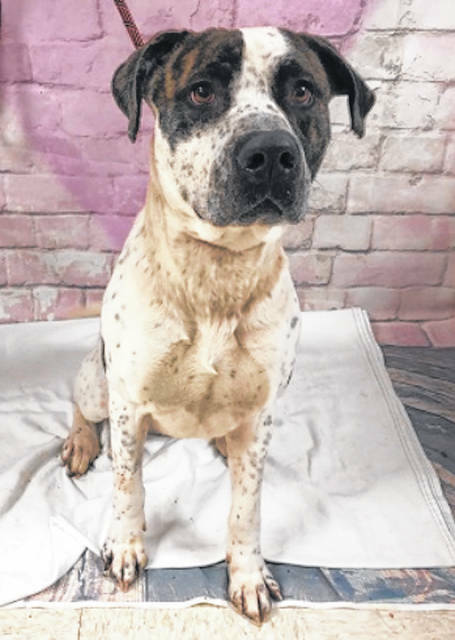 https://www.xeniagazette.com/wp-content/uploads/sites/32/2019/03/web1_Boomer.jpgPhoto courtesy GCAC Boomer’s friends at Greene County Animal Care & Control describe him as a fun-loving oversized puppy and the perfect partner for a fitness lover. Boomer is a white brindle American Bulldog. This 2-3 year old boy has been neutered and vet-checked.